Minnesota fan Geo Rule is the newly-installed President of The Heinlein Society. President: Geo Rule of Minnesota. Vice President-Secretary: Dr. C. Herbert Gilliland (“Herb” to friends) of Maryland, retired Professor of English at the U.S. Naval Academy. SFWA Grandmaster Joe Haldeman of Florida. John Seltzer, of Washington (state). Dr. Beatrice Kondo of Maryland (Yoji Kondo’s daughter). Walt Boyes of Missouri (appointed by the Board to fill Jerry Pournelle’s seat; ratified this past election to continue). Mike Sheffield of California (3rd President of THS, re-elected to the Board this past election). Our previous two presidents have left us a great foundation to build upon. Mike Sheffield was the driving force behind the founding of our very successful Scholarships program, and supported the creation of Heinlein For Heroes during his service as President. Dr. Kato led the Society and ‘Heinlein’s Children’ to the creation and placing of a bronze bust of Robert A. Heinlein in the state capitol building of Missouri in 2016, and leave service as President with membership in the Society, and Society financial assets, at all-time highs in our 20 year history. The membershgip recognized him with a well-earned thank you vote by acclamation at our recent annual meeting. Rule has served on the Board of Directors of the Society since 2007, and as Vice President-Secretary since 2014. He joined the Society in 2002, and considers himself luck to have had the opportunity to work with Mrs. Virginia (“Ginny”) Heinlein on Society business in the last year of her life. (1) STAR TREK DISCOVERING. Camestros Felapton takes you from photon soup to Klingon nuts: “Thoughts on Star Trek Discovery Episodes 1 & 2”. Although not especially spoilery, good form still demands a SPOILER WARNING! However, Russell T Davies made a smart move from which Discovery could have learnt. Set a new series in a time that follows a catastrophe that creates both a bridge to the previous series, and allows the viewers to re-encounter familiar protagonists in a new way. That doesn’t imply a new Star Trek would need to have a post-apocalyptic vibe, rather some sort of event that disrupted galactic civilisations sufficiently that the Federation is needing to rebuild (a gamma-ray burst, a contagion that spreads via transporter beams, a big-bad alien did more damage than usual). Discovery hasn’t taken that option but the setting kind of looks like it did. The technology is both old and new, the spaceships look both updated and more grungy, some aliens are now more familiar and closer to humans (e.g. the Vulcans) while others have become even more alien and Star Fleet understands them less (the Klingons). The whole feel of the show implies a setting where change has occurred but which claims that it is about changes that will occur and I find that somewhat annoying. (2) ALLEGRO CON TROPE. The Independent is more enthusiastic — “Star Trek: Discovery season 1 episode 1 & 2 review: Tropes and unprecedented surprises balance out for an intriguing new Trek iteration”. But who are you going to believe? The team behind Star Trek: Discovery could be forgiven for feeling under pressure. They had to deliver a show that satisfies one of the most rabidly pedantic fan bases out there, while still catering to normies only not really au fait with Trek beyond a few action movies about good-looking people having fights in space. But, despite a reportedly troubled gestation, they’ve somehow managed to deliver, audaciously using their first two episodes to set up several seemingly key characters before wiping the slate clean in the closing moments. In truth, the first two episodes that arrive on Netflix today – ‘The Vulcan Hello’ and ‘Battle at the Binary Stars’ – function more as a standalone TV movie, setting up the tone and feel of the show while leaving about as much wiggle room for the future as conceivably possible. (3) ROCKET SCIENCE. Video highlights of last Saturday’s Atlas V launch of NROL-42 from Vandenberg. Via United Launch Alliance. (4) FUSION. The Register says it’s happening — “Hotter than the Sun: JET – Earth’s biggest fusion reactor, in Culham”. Geek’s Guide to Britain I’m in a room that, in normal circumstances, is not fit for human habitation. It features a number of big red buttons surrounded by illuminated yellow rings – just in case. “Push button to switch off Jet. Press only in case of extreme emergency,” the signs read, informatively. This is the Torus Hall, a 40,000m3 space the size of an aircraft hangar with two massive fly-towers that house 1,100-tonne doors to seal the room off from an adjacent assembly hall. The walls and ceiling are two metres thick. The atmospheric pressure inside the hall is kept lower than pressure outside so that in the event of a breach, air would be sucked in rather than vented. The hall houses possibly the closest thing on Earth to the centre of a star: the Joint European Torus, the world’s biggest fusion reactor at the Culham Science Centre in Oxfordshire, UK. Jet is a tokamak, a circular structure shaped like a doughnut that employs powerful magnets to control that stuff of science fact and fiction: plasma. …Jet is a European project involving 40 laboratories and 350 scientists. In 1997 it set a record, producing 16MW of fusion power from a total input power of 24MW. Iter, however, is a scaled-up version of Jet currently under construction in the south of France planned to open in 2025 – a fusion reactor that aims to use 50MW to generate 500MW for 500 seconds. Iter, in turn, will pave the way for Demo, one or more proof of concept fusion power stations, with South Korea aiming to put a Demo live in 2037. For now, however, Jet is the world’s biggest fusion device and proves that nuclear fusion can generate power – it’s just not big enough to create more power than it uses…. (5) HOW ONE AUTHOR GETS PAID. A post at Metafilter attempting to use Amazon stats to estimate writers’ sales provoked John Scalzi to explain why that is a futile effort: “Can You Tell My Earnings From My Amazon Sales? Spoiler: Nope, Not at All”. …So what does this all mean? Well, it means that for a non-self-pubbed author, often none of their annual earnings from a book are directly related to how many of those books sell in a year (or any other specified time frame). In fact, depending on how the advance is paid out, three-quarters or more (even all!) of the author’s earnings from a book are disbursed before the book has sold a single unit. Book is contracted: 40% of the advance (“signing installment”) goes to the author. Books sold to date: 0. Book is published in hardcover: 20% of the advance (“hardcover installment”) goes to the author. Books sold to date: 0 (there may be pre-orders, but the sales don’t usually start being counted until this time). Book is published in paperback: Final 20% of the advance goes to author. Books sold to date: Hopefully some! But even if the number is zero, the final installment gets paid out (if so few books are sold that the publisher foregoes the paperback release, there’s still usually the contractual obligation to pay out)…. (6) CROWDFUNDING THREE ANTHOLOGIES. Joshua Palmatier’s “Guilds & Glaives, Insurgency, and Ur-Bar Anthologies!” Kickstarter has less than three days to run and is still looking to raise about $3,000 of its $20,000 goal. (7) AS YOU WISH. 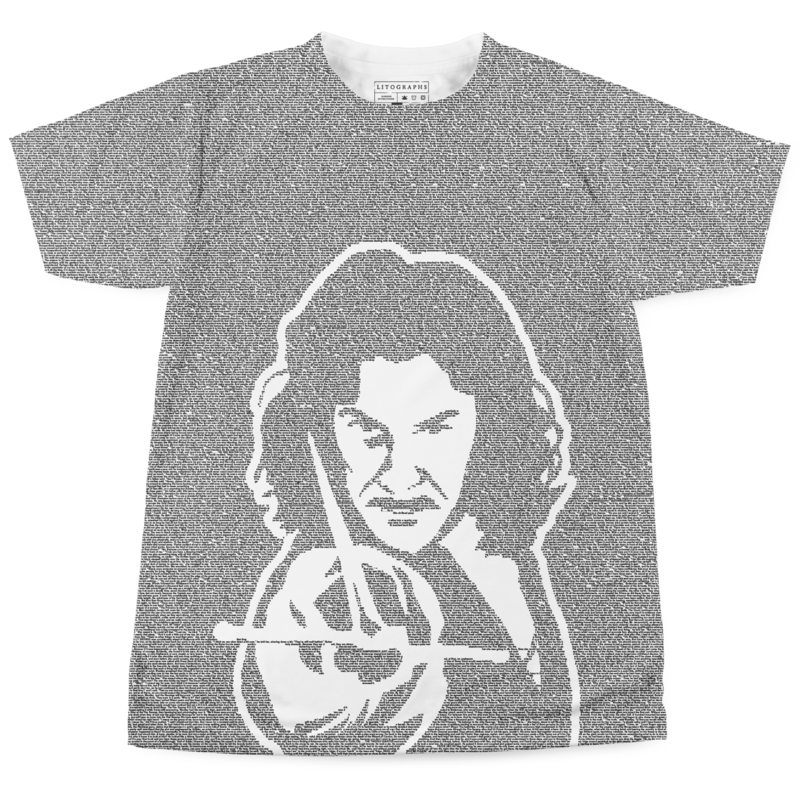 “‘The Princess Bride’ Turns 30: Rob Reiner, Robin Wright, Billy Crystal Dish About Making the Cult Classic” is a Variety piece full of interviews about the beloved 1987 fantasy film. (9) DONATIONS NEEDED. The father of Pierre Pettinger died recently due to a house fire, and Pierre has set up a Gofundme campaign to help cover the funeral expenses — Pierre Pettinger [Sr.] Funeral Fund. Their target is $13,000. While it appears that insurance will cover the costs of repairing and restoring the home, the expenses for Dad’s funeral were significant and have put some strain on all the members of our family. Pierre will be administering the funds and will see to it that they go directly to the funeral home. The goal we have set represents the total cost, but any help you would care to offer would be received with gratitude. Pierre the younger and his wife Sandy are Fan GoH for Worldcon 76. They’ve done wonders in Masquerades for years, winning many awards, and Pierre is Archivist for the International Costumers Guild. (10) REED OBIT. SF Site News reports author Kit Reed (1932-2017) died on September 24 from an inoperable brain tumor. Reed was a Best New Author Hugo nominee in 1959. Reed was up for the James Tiptree, Jr. Award three times, had a novel, Where, on the John W. Campbell Memorial Award shortlist, and received the ALA Alex Award for Thinner Than Thou. Reed’s most recent novel, Mormama, was published earlier this year. (11) JACOBS OBIT. Harvey Jacobs (1930-2017), a 1998 World Fantasy Award nominee for his novel American Goliath, died September 24 from an infection brought on by brain cancer treatment. An author sometimes compared with Vonnegut and Roth, he published his first story in 1951, contributed regularly to New Worlds and F&SF in the Sixties, and continued to produce a modest number of sff stories thereafter. September 25, 1989 — Fox TV’s Alien Nation premiered. (14) POURNELLE MEMORIAL. Jennifer Pournelle’s eulogy of Jerry Pournelle, delivered at the memorial service held September 16, has been posted at Chaos Manor. He was generous as a husband. He adored his wife. He loved deeply, and passionately, and never anyone more than her. The parable of the widow’s alms teaches us the truest measure of generosity: when that of which you have the least, you give most freely. So by “generous,” here I do not mean with obvious things like, like gifts and jewelry and public events (though with those too). I mean that, although always awkward as a schoolboy in showing his feelings for her, he did his utmost with what he knew how to do: jokes, and puns, and praise, and respect, and walks, and stalwart support of her career, and four sons. And especially—and this is most telling—by listening to her, and to her alone. Certainly not always. Probably not often enough. But I do not believe that any other human being on the planet had the capacity to tell him “no” and make it stick. Because of his generous love for her, he listened, and learned how to be a better father, and an outwardly more affectionate one. To say the words out loud. She taught him that the great light of a generous heart need not be hidden beneath a bushel. He listened, and let his generous light shine on her, and everyone around them. It certainly shined on us, his children. He was generous as a father. OK, let’s start with the obvious. There was never a check he would not roll his eyes, groan, and write. School fees? Of course. Wrecked car? Harrumph. No problem. College expenses? Well, it’s your job to get the best deal you can. It’s my job to pick up the rest. Airplane tickets, tailored mess uniforms, personal sidearms? Here you go. Need a tool, a meal, a book, a computer, a printer, a place to sleep, a bottle of white-out? There’s one here somewhere in the house. Go find it. Help yourself. But his real generosity was with imagination. He believed in space. He believed in adventure. He believed in deep truths in myth, and deep lessons in legend. He believed in science. He believed in nature. He believed in fun. And he combined them all. Road trips, hiking trips, shooting trips; flights of imagination; cooking (badly), reading (well), brainstorming plot lines, standing up to bluster, figuring out what you need to know, then figuring out who could tell you. He’d pick up a phone in a heartbeat if he thought he could marshal support or make a contact. He’d invite you to dinners across thresholds you’d never otherwise cross—and then always pick up the tab. And when you finished what you started, or achieved what you’d aimed, or found success in your field, his outpouring of respect was spontaneous and generous—and never seeking to curry your favor…. (15) KEITH KATO. Keith Kato posted his own extensive memories of Jerry Pournelle and account of the memorial service at The Heinlein Society website. (16) MASTERCHEF. On the making of videogames: Jason Sheehan reviews Walt Williams’s Significant Zero: Heroes, Villains, and the Fight for Art and Soul in Video Games: “Leveling Up In The Video Game Industry, Without Checkpoints: ‘Significant Zero'”. I learned this recipe from Walt Williams, whose debut book, Significant Zero, is all about the making of videogames. And also about the making of Walt Williams who, for years, has been involved (both seriously, tangentially, and in every way in between) with the production of some of the best videogames ever created: Bioshock, Star Wars Battlefront, Mafia II, Spec Ops: The Line. Mostly Spec Ops, which is one of the darkest, most haunting, and most narratively daring games I’ve ever played. Spec Ops was Williams’s masterpiece and Significant Zero is the story of everything it took to make it and everything it cost him — beginning years before, ending years after. Sure, it’s a workplace memoir (more or less): A writer writing about writing, which can be the most annoying thing in the world. Except for one thing. Walt Williams is basically a ghost. (17) OVERWHELMING SUCCESS. The BBC writes the biography of a product in “How plastic became a victim of its own success”. What Leo Baekeland invented that July was the first fully synthetic plastic. Two technicians have told how they had to learn how to rope climb to fix the world’s longest aircraft. The Airlander 10 – a combination of plane and airship – has been at Cardington Airfield, Bedfordshire, for the last four years. Technicians Ivor Pope and Darren Gurney have overseen the aircraft since early 2016. “Being up on the hull is a fantastic experience,” said Ivor Pope, the maintenance, modification and ground operations manager. (19) BIKE RECYCLERS. Leave no trace? “Abandoned at Burning Man, bicycles now head for Houston and the Caribbean”. After nine days of parties, music and larger-than-life art installations, the 2017 season of Burning Man came to a close on 4 September. In theory, all evidence of “Black Rock City” – which attracted 70,000 attendees to the dusty desert – was supposed to vanish. One of the festival’s core tenets is “leave no trace”. However, clean-up crews found thousands of perfectly useable bicycles abandoned by attendees. Bikes are the most common form of transportation around Black Rock City, and the way they are tossed aside at the end has long been a problem. Burning Man partners with local charities to take, refurbish and sometimes donate the bikes to needy families, but this year, the sheer number of bikes overwhelmed even these partners. An estimated 5,000 bicycles were left behind. (20) I SWEAR THAT IT’S ALL TRUE. Past Daedalus: Whale tails and the human-powered watercraft speed record: “Water speed record that’s surprisingly hard to break”. However, an Oxford University spinout called Animal Dynamics, co-founded by zoologist Adrian Thomas, is spending £200,000 ($260,000) to do just that. Their craft, the Malolo, is a hydrofoil-like Decavitator. Unlike its rival, the Malolo’s design is inspired by the way whales swim through water – instead of a propeller, it has the kind of large, arched tail that you sometimes spot above the water when a whale dives. Now two years after starting work on the project, the team have begun testing their third prototype off the south coast of England. According to Thomas, they have already reached speeds of about 12 knots (13.8mph/22km/h). Results of The Heinlein Society’s board of directors elections were announced at its Annual Meeting, a phone-in teleconference held September 10. On the line were the 2017-2020 class of three seats on its nine-seat Board of Directors. An impressive 66.5% of eligible voters participated in an online election via the SimplyVoting.com website. The three incumbent Directors standing for re-election, Dr. Jerry Pournelle, John Seltzer, and John Tilden, all won re-election, which was certified by Simply Voting on 28 August 2017. The passing of Dr. Jerry Pournelle on September 8, after the election and certification of results, has led to the Society’s remaining Board to invoke Article II, Section 5D of its Bylaws to fill this vacancy. At the Society’s September 11 Board Meeting, Walter Boyes, an Illinois SF writer, technologist, futurist, and fan, was selected to fill the open seat. As a Board appointment, Walt is required to stand for a ratification vote in the 2018 Society elections. At the same September 11 Board Meeting, Society officers Dr. Keith Kato of California, Geo Rule of Minnesota, and John Tilden of Maryland, were retained as President, Vice President-Secretary, and Treasurer respectively. Keith Kato stated this would be his last year in office. The remainder of the new Board, by seniority, is Joe Haldeman, John Seltzer, Elizabeth Wilcox, Dr. C. Herbert Gilliland, Dr. Beatrice Kondo, and Walter Boyes. The Heinlein Society marked Robert A. Heinlein’s birthday (July 7) by announcing the 2017 winners of its Heinlein Society Scholarships. Three winners were selected from a record field of 163 applicants — almost twice as many as last year. Emma Riedi – Emma is enrolled at Bemidji State University in Minnesota as a freshman. Her major is Environmental Studies with an Emphasis in Environmental Health and Toxicology. She credits a PBS special for inspiring her towards a career choice that will allow her to combine her love of the outdoors with her desire to make a positive impact on the world. The 2017 selection committee was chaired by THS past president Michael Sheffield, and consisted of Dr. Pauline Bennett, Dr. Marie Guthrie, Dr. Keith Kato, Dr. Beatrice Kondo, Geo Rule, and Elizabeth Wilcox. By Keith Kato, President: The Heinlein Exhibit for the Hall of Famous Missourians was unveiled at the MidAmeriCon II Art Show. After the Worldcon, about 30 (!!) Heinlein fans travelled to the Missouri state capitol in Jefferson City for the Induction Ceremony. We had a group dinner at the Capitol Plaza Hotel on August 22, which was attended not only by the aforementioned Heinlein fans but by state Representatives T. J. Berry and Patricia Pike, who co-sponsored the Induction Resolution for Heinlein, plus Rich Beckwith of the Speaker of the House’s office, who helped moved things along behind the scenes. Afterwards, most of the group gathered to view videos of Ginny Heinlein’s acceptance speech for Robert’s NASA Distinguished Service Medal (a reading of Heinlein’s “This I Believe” article for Edward R. Murrow, first shown at the 2007 Heinlein Centennial, which transforms seamlessly from Ginny’s voice to Robert’s), a tribute of Heinlein by Arthur C. Clarke, also shown at the Centennial, and general discussion. Eric Picholle and Anouk Arnal, Heinleiners from Nice, France, could come only for the dinner, but were given a private night tour of the Capitol Building by Representative Berry and Rich Beckwith. On August 23, 10:30 a.m., the Robert Heinlein’s Induction Ceremony was held in the House Chambers. Representatives Berry and Pike spoke briefly, as did Society President Keith Kato and sculptor E. Spencer Schubert. 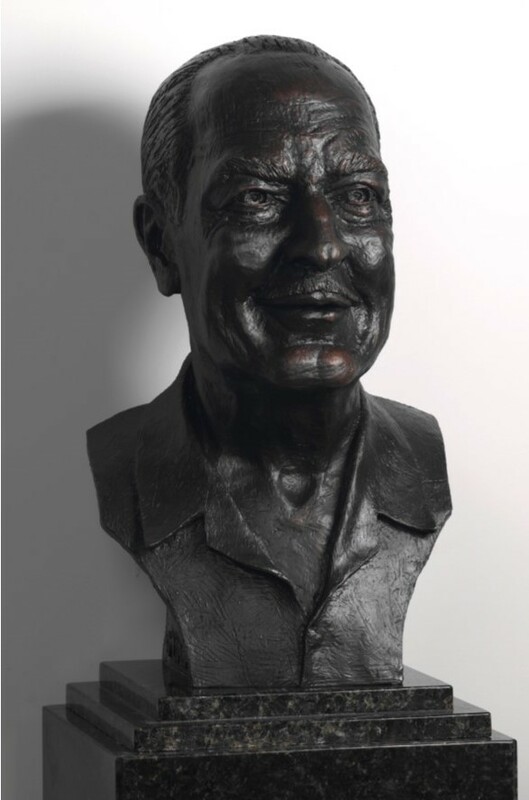 Spencer’s comments were especially enthusiastic, since he had sculpted several busts for the Hall, some of them “just jobs,” but he was a long-time Heinlein reader and fan, so the Heinlein bust was especially meaningful to him. Making impromptu comments were Buckner Hightower, Trustee of the Heinlein Prize Trust, the Heinlein’s “adopted granddaughter” Dr. Amy Baxter, and SF author and Heinlein online Archivist Deb Houdek Rule. Rep. Patricia Pike, Keith G. Kato, Ph. 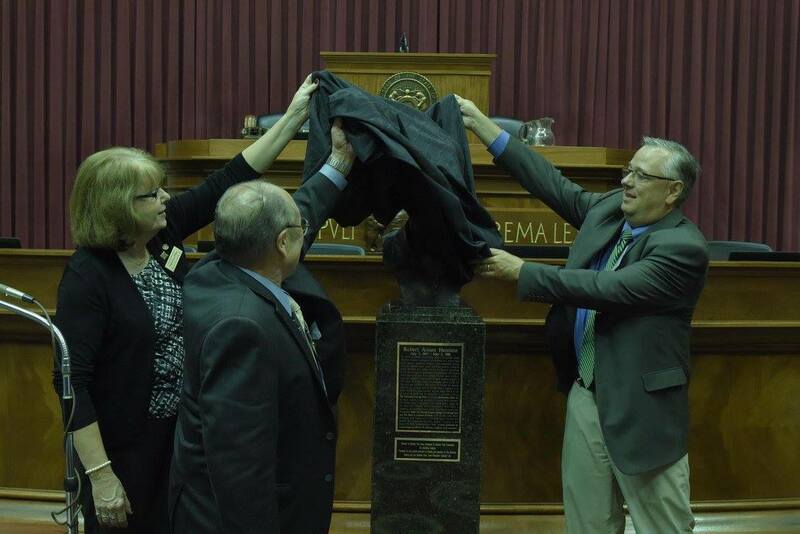 D and Rep. T. J. Berry unveil the bust of Robert Heinlein in the chamber of the Missouri House of Representatives. After the Ceremony, cake and punch was served in the House ante-room, where a quick Heinlein exhibit had been set up with the 46-volume Virginia Edition, the Lady Vivamus sword from Glory Road, Heinlein’s Hugos for Double Star and The Moon Is A Harsh Mistress along with the newly-won Retro-Hugos from MidAmeriCon II for Novella “If This Goes On—“ and Novelette “The Roads Must Roll,” and select photos and quotations. The official House Photographer has posted for our use, the Facebook link with photos from the Induction Ceremony in Jefferson City, and the Associated Press filed a story, too. There are some Facebook links from the Society, including photos and video, as well here. I can’t thank you and File 770’s readers enough for your help in the Hall of Famous Missourians endeavor. You provided the pathway to Jeb Kinnison to put us financially over the top to make it happen. In other Society news, it was announced at our September 11, 2016 phone-in Annual Meeting that two incumbents for the Board of Directors, SFFWA Grandmaster Joe Haldeman and Minnesota fan Geo Rule had won re-election for another three-year term. SFFWA Grandmaster Connie Willis had chosen not to stand for re-election, so the third elected Board member is Dr. Beatrice Kondo, Baltimore fan and daughter of SF author and astrophysicist Dr. Yoji Kondo. Yoji served on The Heinlein Society’s Board in the early years, so Beatrice is now the first second-generation Board Member. What made this election noteworthy was that six candidates ran for the three available Board seats, and 63% of eligible electors filed ballots. And finally, at the first Board meeting after the Annual Meeting on September 19, the new Board met and voted to retain the incumbent officers, President Keith Kato, Vice President-Secretary Geo Rule, and Treasurer John Tilden, for another year. The present Board, in order of seniority, is Joe Haldeman, Dr. Jerry Pournelle, Vice President-Secretary Geo Rule of Minnesota, President Dr. Keith Kato of California, Treasurer John Tilden of Maryland, John Seltzer of Washington, Betsey Wilcox of Texas, Dr. C. Herbert Gilliland of Maryland, and Dr. Beatrice Kondo of Maryland. While I missed reporting a lot of news stories while I was hospitalized, I want to pick up the ending of a story I’ve been following for a couple years – Robert A. Heinlein’s induction to the Hall of Famous Missourians. Jeb Kinnison, whose contribution made possible the production of the Heinlein bust, has a lot of photos of The Heinlein Society’s unveiling ceremony at MidAmeriCon II in his Worldcon report. 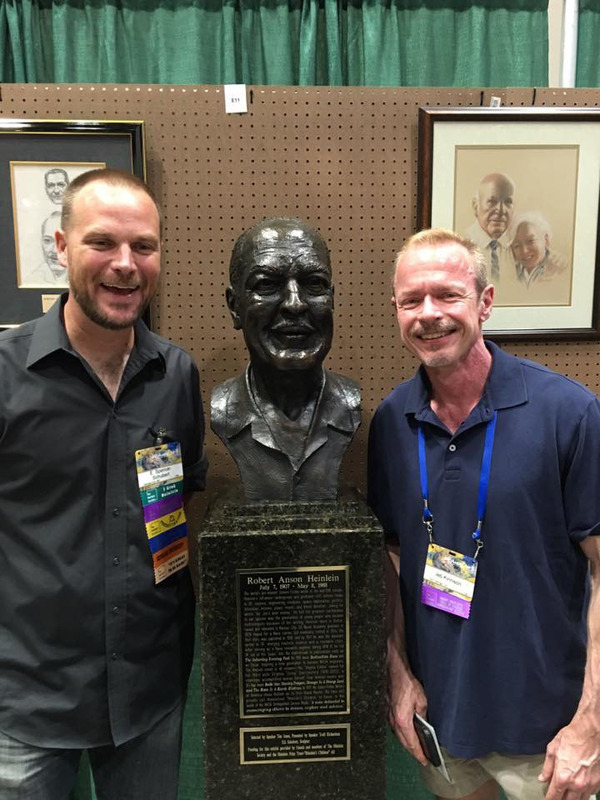 Sculptor E. Spencer Schubertand Jeb Kinnison flank Heinlein’s bust at MACII. Then, immediately following the Worldcon, lawmakers in Jefferson City, the Missouri state capital, officially inducted Heinlein to the Hall. 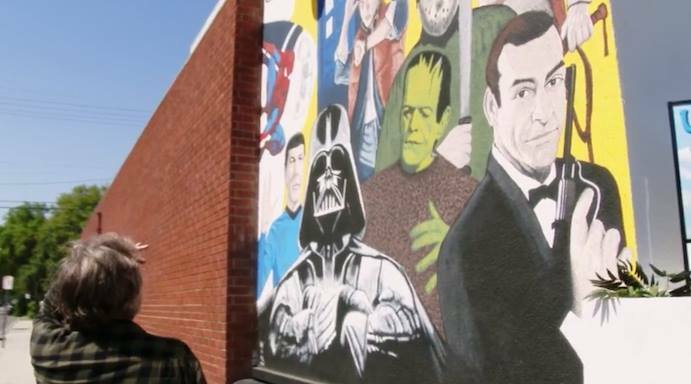 The Missouri native won science fiction awards for some of his most famous works including “Stranger in a Strange Land” and “Starship Troopers,” a story about a war against arachnid-like aliens that later was adapted for film. 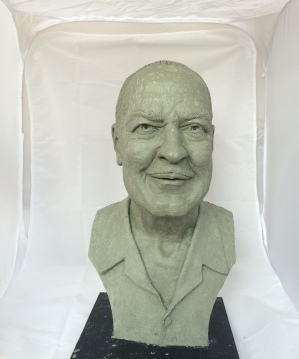 “Artist’s proof” of Heinlein bust by sculptor E. Spencer Schubert . The Heinlein Society is organizing a post-MidAmeriCon II relaxacon in Jefferson City, MO to coincide with the official ceremony inducting Robert A. Heinlein into the Missouri House of Representatives Hall of Famous Missourians. The Induction Ceremony will be held on Tuesday, August 23, 2016, at 10:30 a.m. on the floor of the House chambers, followed by a light coffee/tea reception until about noon. The Society has arranged a group rate of $89/night (plus taxes and fees) at the Capitol Plaza Hotel, with a group dinner planned on August 22, 6:00-8:00 p.m., followed by the use of a function room for a fannish talkfest until 1:00 a.m. if need be. For details, contact Keith Kato, President of The Heinlein Society, at chairman@heinleinsociety.org. Room reservations are due by July 23 to get the group rate (latecomers will be given the group rate if there are rooms available), and names of attendees are due by July 20 to receive formal invitations by the Speaker of the House (latecomers will be seated in the Visitors’ Gallery). Dinner menu selections will be available in late July; orders for the group dinner must be placed with the Capitol Plaza Hotel by close of business, August 17. Travel from Kansas City to Jefferson City is available via Amtrak, or privately driven cars. There are flights on American Airlines leaving Jefferson City from the local Columbia Regional Airport (COU) to the Dallas-Ft. Worth and Chicago O’Hare hubs. The Heinlein bust will be unveiled at MidAmeriCon II. (1) THE SICHUAN CHICKEN EMERGENCY. Last year’s Hugo-winning novelist has received a new honor — “Dinosaur relics named after science fiction writer Liu Cixin”. A new kind of bird-footed dinosaur footprint was discovered in Gulin county, Southwest China’s Sichuan province and named for Chinese science-fiction writer Liu Cixin, to honor his contribution to raising public interest in science. Liu, who was thrilled to hear the news, said that he has great interest in paleontology. (2) SUPERGIRL ADDS W, LEAVES BS BEHIND. Variety makes it official — “’Supergirl’ Lands at the CW for Season 2”. After nearly two years of rumors, “Supergirl” is heading to the CW for its second season, Variety has learned…. At CBS, “Supergirl” averaged a 2.5 rating in adults 18-49 and 10.03 million viewers overall in Nielsen’s “live plus-7” estimates. It was CBS’ top-rated rookie drama this season in the demo, and was also its youngest-skewing drama with a median age of 55.6 — however, it was down from comedies in the Monday night timeslot last year. The hotly anticipated crossover with “The Flash” on March 28 was a ratings hit for the CW, prompting the rumors to begin swirling once again that “Supergirl” would head over to the younger-skewing network, in order to nab a renewal. That episode, co-starring “Flash’s” Grant Gustin, averaged a 2.5 rating in 18-49 and 9.6 million total viewers in L+7 — the show’s best numbers in the second half of its run. (3) KRYPTON. Vulture says Supergirl’s home planet is also going to be on the tube: “Syfy Orders Pilot for Krypton, a Show About Superman’s Grandpa Who Lives on a Planet That Definitely Isn’t Going to Explode Any Time Soon”. And you thought Batman was the only DC Comics superhero who would get a TV show about what everyone around him was doing before he became interesting: THR reports that SyFy has ordered a pilot for Krypton, a Superman prequel from David S. Goyer set on the eponymous doomed planet. The series will follow Superman’s grandpa as he “fights to redeem his family’s honor and save his beloved world from chaos,” which is one task at which he is guaranteed to fail (because the world will blow up) and another that is a bit of a moot point (because, again, the world will blow up). (4) GEMMELL VOTING STARTS TOMORROW. Voting on the longlists for 2016’s David Gemmell Awards for Fantasy (the Legend, Morningstar, and Ravenheart Awards) opens midday on Friday, May 13 and closes at midnight on Friday June 24. The award’s Facebook page revealed there will be 48 nominations for the Legend Award, 6 for the Morningstar and 39 for the Ravenheart. Voting on the shortlist opens at midday on Friday July 8 and closes at midnight on Friday August 19. The presentation takes place at 8pm on Saturday September 24 at Fantasycon in Scarborough. (5) MIND MELD. SFFWorld threw a lifeline to Rob B, whose Mind Meld installment needed a home after SF Signal went offline. The participants are N. E. White, Jonah Sutton-Morse, Yanni Kuznia, and Summer Brooks. (6) NEW YORK NEW YORK NEW YORK. Pornokitsch compares and contrasts in “Will Eisner and Three Visions of New York”. Both Eisner and Fantasia 2000 also recognise this aspect of the city: it can grind people down, even to the point of death. Using the darkness of the city in this way all three of these representations show the city itself to be an active force working on their various protagonists. Dark Dark Dark focus more on the elemental aspects of the city while Eisner examines the interaction of the people and their home, but both are aware of the inherent magic of the place. Dark Dark Dark present in their enigmatic lyrics and the swirling otherworldliness of their instrumentals what Eisner recognised in his introduction to ‘The Building’, there is something “unexplained and […] magical” about the city which can affect those that live in it. (7) NEW DESTINATION. Variety’s article “Winchester Mystery House Movie Attracts Spierig Brothers” discusses the next project by the Spierig Brothers, Winchester, about the famous San Jose, CA haunted house. (8) FURNITURE. I don’t think we’ll be able to order a park bench from them, though it’s nice to know Sancal’s Futura collection is based on 1960s sci-fi space stations. Dezeen promotion: Spanish brand Sancal has launched a “retro-futuristic” collection of furniture, featuring tables, chairs and ornaments that reference 1960s science fiction films (+ movie). The Futura collection, which was exhibited by Sancal during this year’s Milan design week, is modelled on the set designs of movies such as the 1968 epic 2001: A Space Odyssey. (9) NEW AWARDS? Bleeding Cool passed on this rumor about the San Diego Comic-Con. The word on the street is that we are about to get a brand-new, very well-funded awards show for San Diego Comic Con. I understand that high level talks are taking place between Jennifer O’Connell, Executive VP of Alternative Programming, Seth Lederman, Executive VP General Manager of the new streaming channel Comic-Con HQ and David Glanzer, Chief Communications and Strategy Officer of Comic-Con International, the people behind San Diego Comic Con. While the existing Eisner Awards cover the comic book industry, and have been the premier awards at San Diego for some time, this new award show is planned to cover comics, TV, film, games and all manner of fan and genre culture. So expect very big names on hand to host and present awards…..
Lionsgate is said to be interested in producing the show. (10) YESTERDAY IN HISTORY. Can it be May 11th was National Twilight Zone Day….? And I missed it? (11) STARFLEET TRAINING. “’Star Trek: The Starfleet Academy Experience’ is coming to the USS Intrepid this summer”. MeTV has the story. Beginning July 9, those lucky enough to get to New York City can visit Star Trek: The Starfleet Academy Experience. The museum exhibit is opening aboard the USS Intrepid, which sits on Pier 86 along the Hudson River on the west side of Manhattan. A naval museum might seem like a strange location for a Star Trek exhibit, but what is Star Trek if not a space navy? Besides, NASA’s Space Shuttle Enterprise is on display at the Intrepid Museum. Visit the Intrepid website for more information. (12) MEMORIES. Here’s a Lou Stathis artifact I never heard of before. 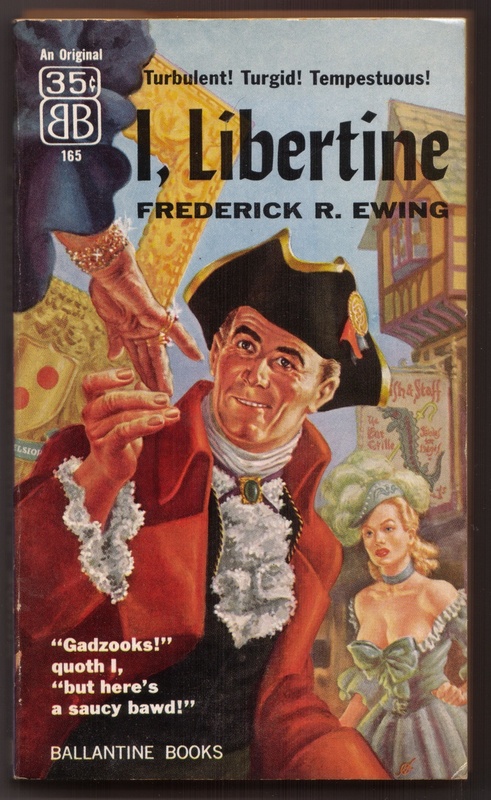 The cover image comes from here. (15) WILL FANAC FOR CHARITY. 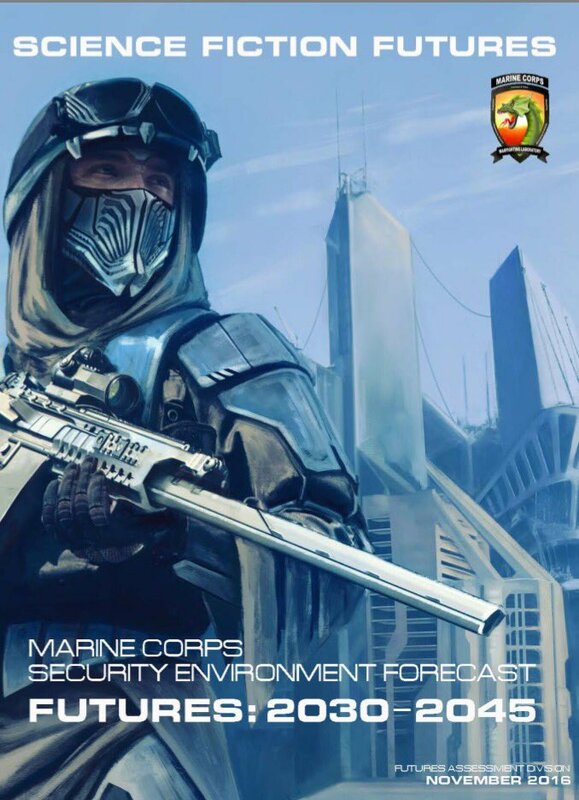 Jim C. Hines is back with another example of “SF/F Being Awesome: Lar DeSouza and Sailor Bacon”. If my math is right, Lar [DeSouza] and his fans have raised around $40,000 in total to fight MS.
There’s even a new Sailor Bacon plush, with a portion of the proceeds going to MS research. Rainbow beard that is so bright! It is the one named Sailor Bacon! The MS Walk was May 1 this year, but it looks like you can still donate. (16) END OF DISNEY DOLLARS. Paleofuture at Gizmodo mourns that gift cards have killed Disney Dollars. When I was a kid I loved Disney Dollars. For those unfamiliar, they’re Disney’s paper notes that look like real money and feature cartoon characters such as Mickey Mouse and Dumbo on the front. They’re only good at Disney Parks and stores, making them essentially like gift certificates. But Disney will stop printing Disney Dollars on May 14, 2016. It’s truly the end of an era for Disney nerds. As reported by WDW News Today, the move is being blamed on the rise of gift cards and the general death of paper money. Disney staff were told just a couple of hours ago but the company has yet to make an official statement. Disney Dollars will continue to be accepted at Disney locations, since they have no expiration date. But unless you have hundreds of notes to unload you should probably just hold on to them for a bit. The resale market for even once-common Disney products can be pretty lucrative after a few years.